For the Classic Player Baja '60s Telecaster, Fender Custom Shop Master Builder Chris Fleming has taken his original Baja Telecaster design and upgraded it with full-on 1960s features and vibe, including an alder body, rosewood fingerboard, a comfortable '60s "C"-shaped neck profile and American Vintage pickups. 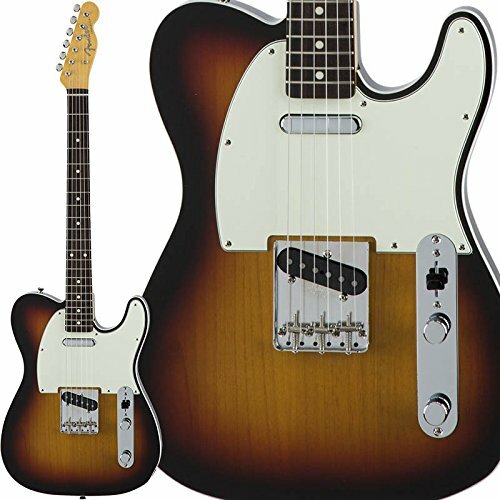 The other great features are also still available with this model, including the special switching and circuitry, engraved Fender Custom Shop neck plate, American Vintage strings-thru-body Telecaster bridge and more. Adventurous guitarists started hot-rodding their Telecasters in the late '60s and early '70s with big-sounding humbucking neck pickups that lent new style and swagger to rock music. The Classic Series '72 Telecaster Custom brings it all back as an authentic evocation of its early-'70s ancestor, including the distinctive Fender Wide Range humbucking neck pickup, a large pickguard, cool skirted amp control knobs and more. 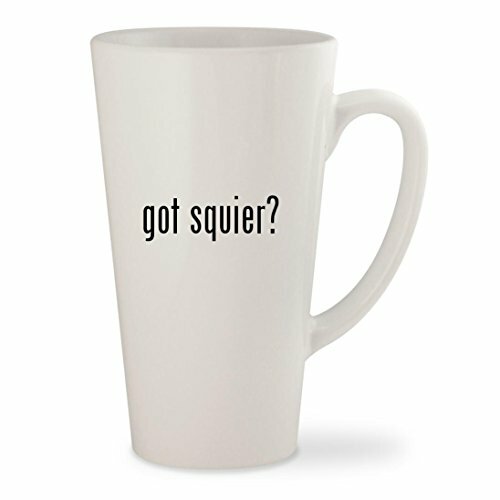 A favorite of players from '70s rock to modern U.K. alt-rock and much more. Former Fender Custom Shop Master Builder Chris Fleming has taken his previous design of the Classic Player Baja Telecaster and upgraded it with full-on 1960s features and vibe, This Telecaster includes a rosewood fingerboard and a comfortable ’60s “C”-shaped neck profile. 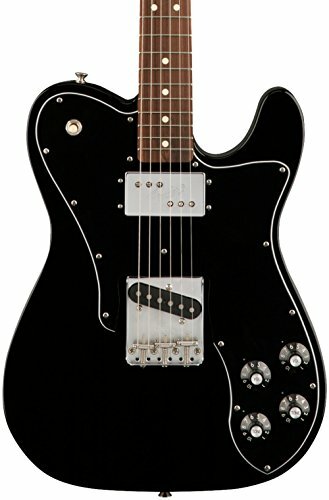 The guitar also features an alder body, 9.5” fingerboard radius and 21 medium jumbo frets, single coil American Vintage ’52 Tele (neck) and ’58 Tele (bridge) pickups with special four-way (including both pickups in series) and S-1 switching, three-ply pickguard, American Vintage string-through body Telecaster bridge with three brass “barrel” saddles, special Custom Shop neck plate engraving and more. This twist on a timeless classic has all of the ingredients for easy smooth playing and tones that range from funky to thick. A Tele that seamlessly will perform to most genres of music on stage or in the studio. Fender deluxe padded gig bag included. The rough-and-tumble Classic Vibe Stratocaster '60s evokes that musically adventurous decade, adding a few modern features. The thick tone comes from the alnico V single-coil pickups-quick attack with a bit more midrange force. Custom staggered pole pieces provide improved string-to-string balance. The 60s-style neck hosts a modern 9.5" radius for comfortable playing and string bending. 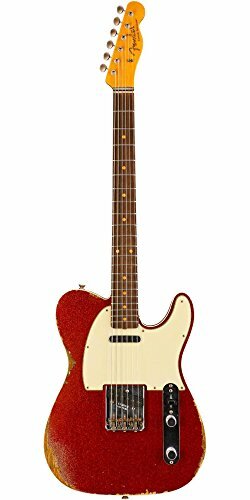 1960 Relic Telecaster Electric Guitar Aged Red Sparkle. The Fender Custom Shop 1960 Relic Telecaster Custom is a sight and sound to behold, with an alder body dressed in a gorgeous aged red sparkle finish, and the elegant top and back binding that is the early-'60s hallmark of the instrument. Pure Telecaster snap and sparkle comes from a pair of hand-wound Twisted Tele pickups, and the quartersawn maple neck is sculpted with a comfortable early-'60s oval C profile. Other premium features include a 9.5"-radius rosewood slab fingerboard with 21 6105 frets, three-way pickup switch with aged white top hat tip, three-ply mint green pickguard, American Vintage Tele bridge with threaded saddles, and American Vintage tuning machines. 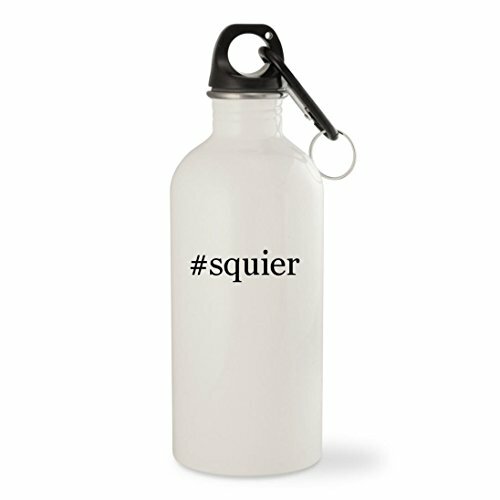 Includes brown textured vinyl hard-shell case with gold interior. 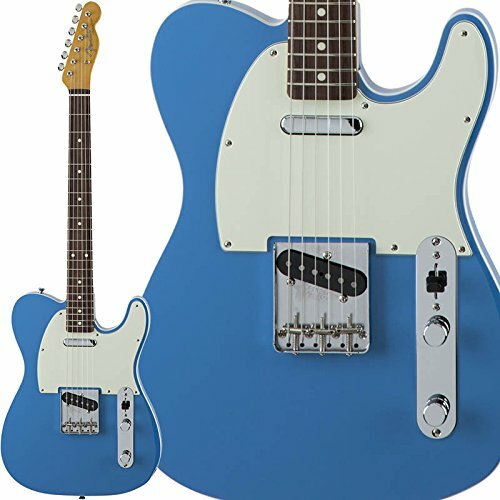 Looking for more 60s Custom Telecaster similar ideas? Try to explore these searches: Team Denim Comforter, Attendant Display Console, and Capture Digital Video Pc. 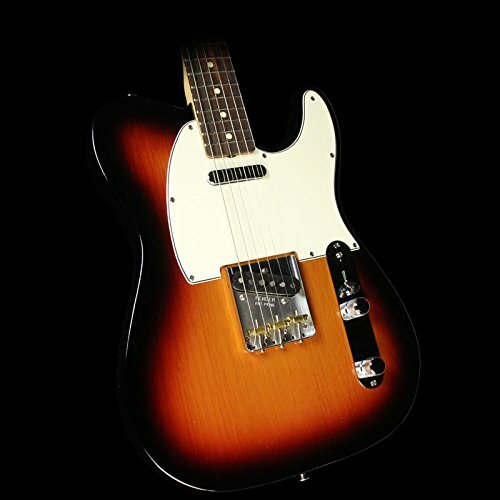 Shopwion.com is the smartest way for comparison shopping: compare prices from most trusted leading online stores for best 60s Custom Telecaster, Satin Nickel Torchiere, Maxima Driver Rear Window, Telecaster Custom 60s . Don't miss this 60s Custom Telecaster today, April 23, 2019 deals, updated daily.